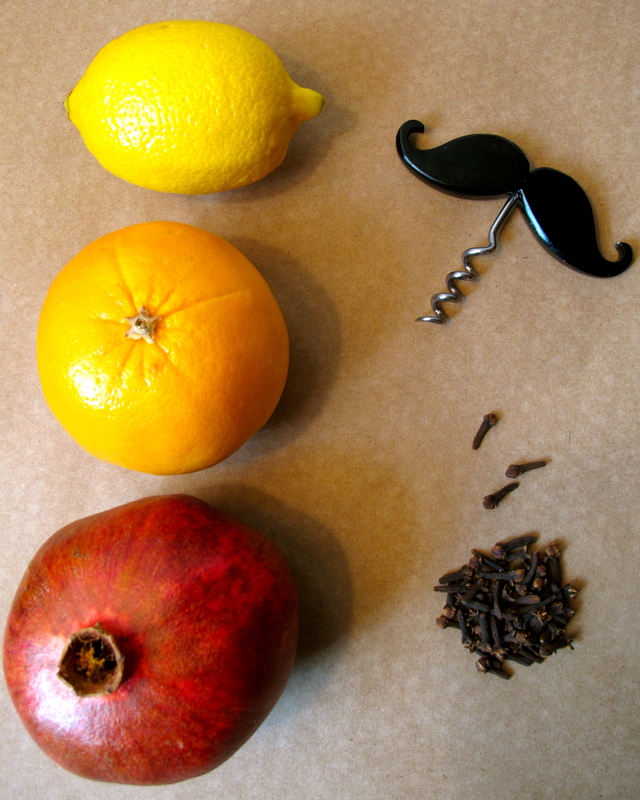 -Fruit; this year I used oranges, lemons, and pomegranates but you can also use limes or apples… anything you want, really. -A poking utensil; I used this moustache corkscrew, but also on the table was a meat thermometer and one side of a corn-on-the-cob holder. This is not an exact science. Decide on a design- stripes, lines, and swirls work wonderfully as do harlequin and argyle patterns, or even random polka dots. Poke a hole in the skin of the fruit in the shape of the design you envision and put a clove in each hole. 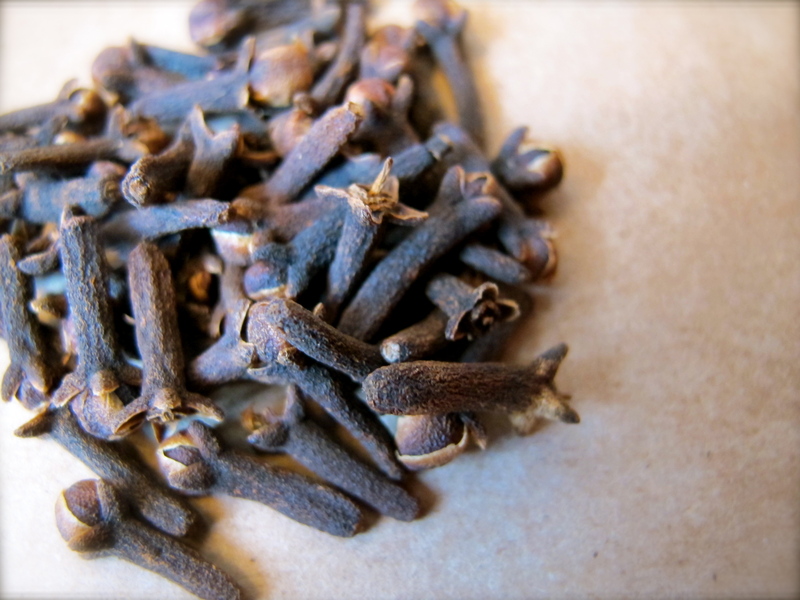 The cloves are incredibly aromatic, but they can be kind of sharp. If your fingers start to hurt from pushing the cloves into the fruit try using a thimble. 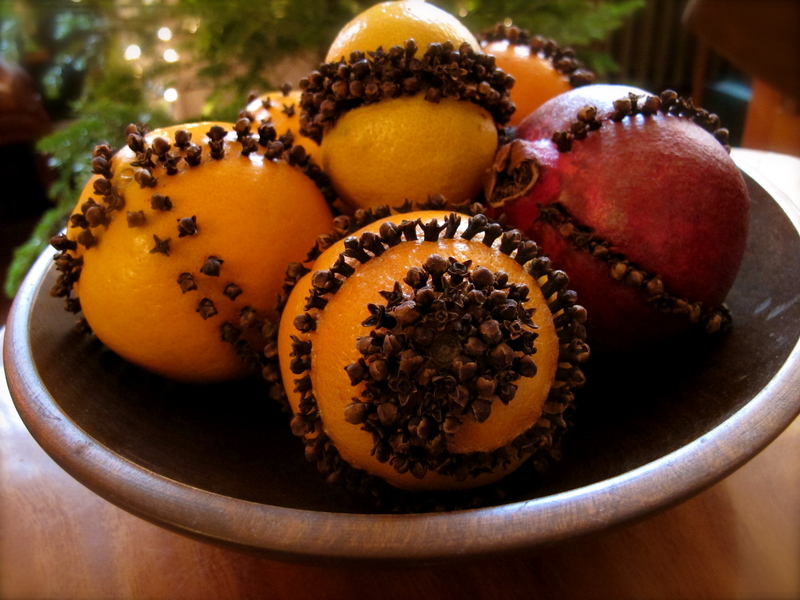 It’s incredibly easy to make these yourself, and unbelievably satisfying to end a night with a belly full of wine and root vegetables and a bowl of beautiful, fragrant, and timeless pomanders that will keep for weeks, looking lovely and smelling wonderful whatever your holiday season may bring. 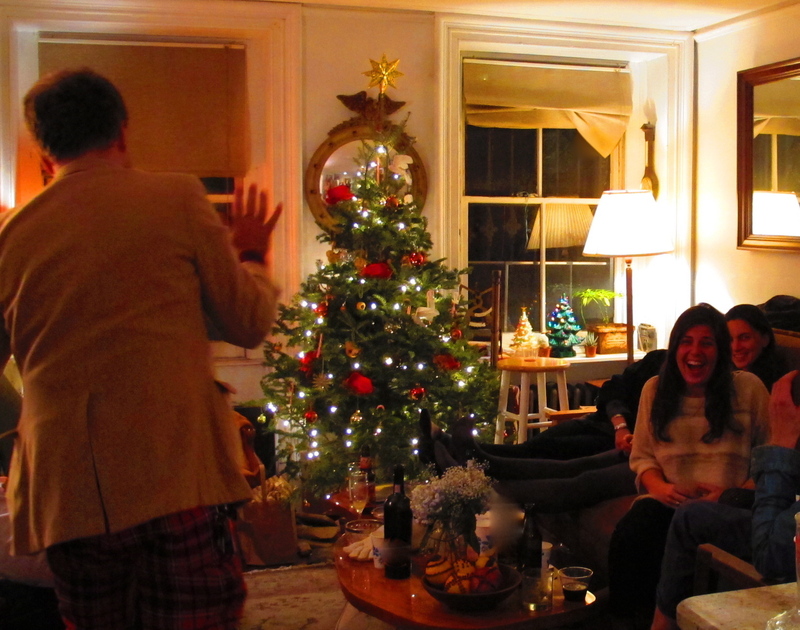 They gave my apartment the feel of a gingerbread brownstone for my holiday party- incredibly festive. Next Next post: Greene Hill Food Co-op: Open for Business!